EIRS > Blog > Tesla > GHOST OR WORDPRESS, WHICH ONE SHOULD I CHOOSE? 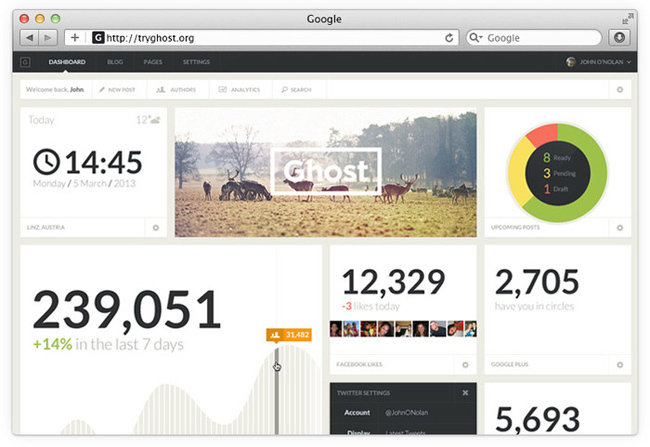 You probably heard about Ghost CMS, a relatively new blogging platform that generated a lot of buzz on its launch. And you’re for sure familiar with WordPress, our favorite CMS that is used by almost 1/4 of all websites. These blogging tools allow you to easily set up and run beautiful blogs or websites without advanced knowledge of web development. Moreover, you can use themes and plugins to create sites with awesome design and add some extra features like eCommerce, contact forms, social media sharing, widgets and much more. So, which one is the best for your website: Ghost or WordPress? Let’s start with a little history. WordPress is an open source blogging tool and CMS launched in 2003 by Matt Mullenweg. It started as a simple publishing software, but turned into the most popular blogging platform on web, powering more than 23.4% of all websites. 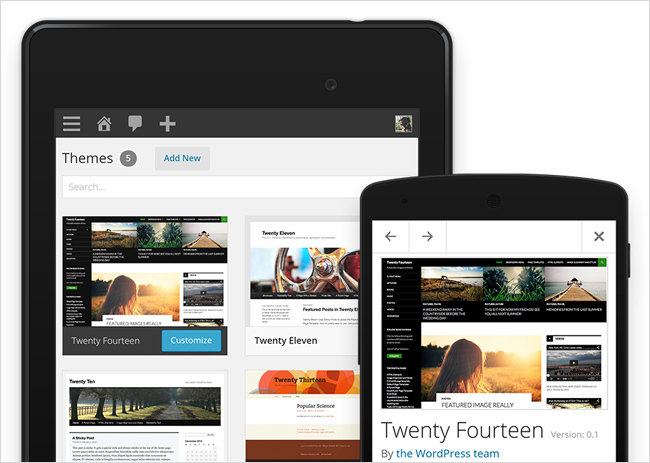 The latest version of WordPress (4.1) has been downloaded more than 16 Mln times. During the years, it became a powerful and robust system than can handle complex websites. Its system of themes and plugins allows you to create beautiful sites with reach functionality and customize them as you wish. WordPress initiated a whole community around it (and we’re really glad to be a part of it). Ghost is an open source blogging platform that has a clear purpose: to make the process of writing and publishing simple and enjoyable. It was launched in 2013 by John O’Nolan – the former leader of WordPress UX team. The project was successfully funded on Kickstarter and gathered £196,362. John wanted to provide a simple and beautiful CMS for users that are interested in one thing: blogging. The concept was born out of many frustrations that he met using complex systems like WordPress. Ghost is in its early days, but the team behind it is working hard and they already achieved some good results. You don’t need a complex website and you simply want to focus on content creation and publishing. Ghost provides a simple and beautiful dashboard with an intuitive editor (include your content and instantly preview it). Whatever platform you will choose, make sure you first understand your needs. Once you get used with one of them, you will for sure like it, as both WordPress and Ghost are great tools. Please tell us: which is your favorite one and why?